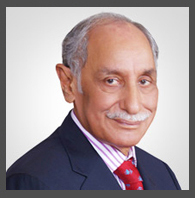 I am pleased to inform you that our Alumnus and BoG member, Mr. Zahid Bashir, has been awarded the Sitara-e-Imtiaz, for his work in Public Service. The award will be presented during an investiture ceremony on Pakistan Resolution Day, March 23. He has raised Rs. 8 billion for charity, including the CyberKnife unit in Jinnah Hospital. He and friends are now constructing the most modern Surgical ward in Pakistan, also at Jinnah. On behalf of the IBA and all its Alumni, I congratulate Mr. Zahid Bashir for the well-deserved award.